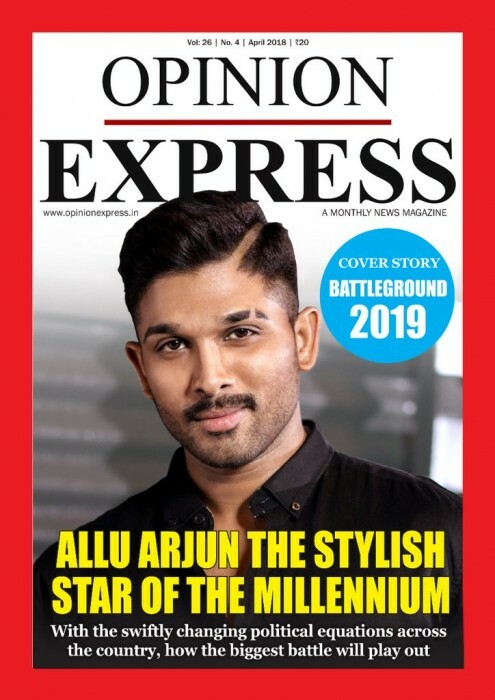 Allu Arjun’s suave body language is the biggest highlight of his look on the cover. As far as fans of Telugu cinema are concerned, Allu Ajun is a name that needs no introduction at all. During his 15-year-long career, the ‘Stylish Star’—as fans like to call him– has won the hearts of movie buffs thanks to his lively performances, uber-cool looks and bindass personality. Moreover, he is held in high regard because of his truly perfect personal life. Now, there is some terrific news in store for his well-wishers. As it so happens, ‘Bunny’ recently graced the cover of a leading magazine made one hell of an impact, Sporting formals, he looked smart and proved that his style game is second to none. His classy body language and that subdued smile gelled with the look and upped the look’s recall value in a big way. That is how you make an impact. Class truly never goes out of style! Interestingly, Allu Arjun is currently gearing up for the release of Naa Peru Surya. Touted to be an action-drama, it features him in the role of an Armyman and has a power-packed theme. The star underwent a special physical fitness training programme in order to prepare for the same and it will be worth watching if these efforts pay off. The film has been directed by Vakkantham Vamsi and marks his directorial debut. He is best known for writing the dialogues for films such as Race Gurram and it will be worth watching how he fares. Naa Peru Surya also has the lovely Anu Emannuel in the lead. NPS will be Allu Arjun’s first release of 2018. He was last seen in Duvvada Jagannadham. An Eid release, it opened to a fairly positive response at the box office while receiving mixed reviews. In it, he played a double role and showcased his versatility as an actor to the fullest. It also had Pooja Hegde in the lead and marked her return to Tollywood. The film’s Hindi version too fared well on Youtube and received the thumbs up from fans.